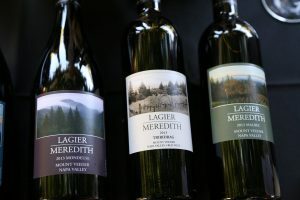 Lagier Meredith was founded by Dr. Carole Meredith and Steve Lagier with the first vintage of Syrah in 1998. After looking at 70 properties spread throughout the Napa Valley, Carole and Steve ultimately chose to purchase this particular site in 1986. Their initial intent was not to make wine, but rather find a property with both a house and land they could afford at the time. It had been on the market for some time but was passed over by buyers because it was land that would need a lot of work to develop and the existing home was quite basic. In addition, the road was in terrible shape, rocky and rutted and only accessible via a 4wd vehicle. However, they were sold on the views and the price. The property was site of an old wagon wheel road – part of what was called the “Winter Roads” – dirt roads used by stagecoaches in the winter time to connect between the Napa and Sonoma Valleys. During rainy times of the year, parts of Napa and southern Sonoma would be come very muddy and marsh like; as a result the dirt roads leading over the rocky hills were the primary conduits between the valley’s. Their long driveway (now paved) was part of one of these roads. Carole references a Yogi Berra quote “When you come to the fork in the road, take it!” – both Carole and Steve had not planned on planting a vineyard, making wine and having their own label. But over time without a road map they have built their brand literally from the ground up. They soon found evidence of prior owners including an old olive grove. One of their neighbors Chester Brandlin (now deceased) recalled visiting their property on horseback when he was child in the 1930’s – he remembers these olive trees full grown even back then. Carole estimates the trees date back to the 1880’s. 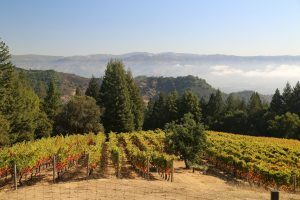 The site had never been planted to vines; the prior owner had already cleared out trees – leaving a site that could be developed into a vineyard. But Carole and Steve had to first remove all the roots and stumps and prepare the land for vines – as well as implement soil erosion controls. They planted their first vines (Syrah) in 1994 and for 10 years focused on producing wine from this one varietal. Later they added three additional varietals to the property including Mondeuse noire, Zinfandel and Malbec. 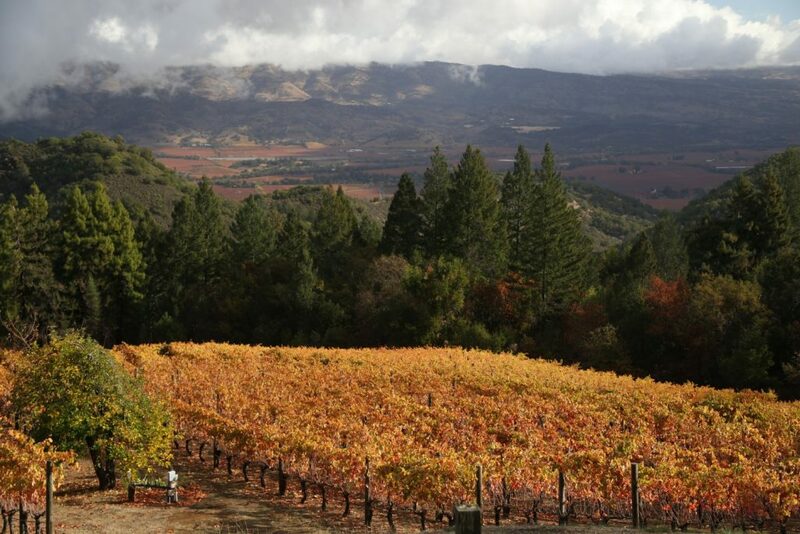 The total property is 84 acres of which 4-acres are planted to vine. The soils here are marine in heritage, mostly sandstone and shale. 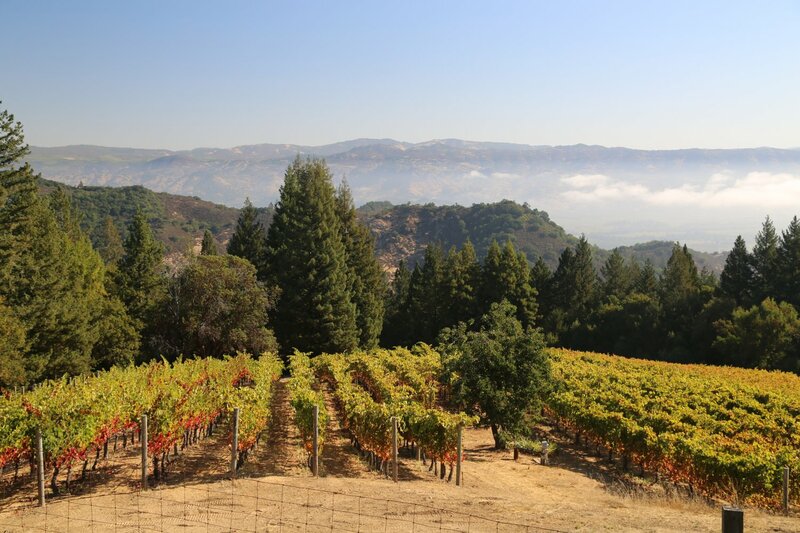 These are vines with views – the vineyard is located at 1300 feet on the slopes of Mt. Veeder in the Mayacamas mountains. From parts of the property one can see in to the San Pablo Bay, part of the Bay Bridge to the south and to the furthest ridge-line to the east before reaching the central valley. They are at an elevation where fog is often below them, sometimes reaches their property and sometimes rises higher on the slopes of Mt. Veeder. Most of their property is wooded and covered with natural vegetation. As a result, their vineyard is somewhat isolated from other vineyards. This has its benefits – they do not need to net the vines from hungry birds – the size of their vineyard is in balance with the size of the surrounding woods. They don’t need owl boxes either – the owls use the existing trees as their homes. This is as small an operation as you will find in the Napa Valley. They have no employees, consultants, partners or investors. Both Carole and Steve manage the vines themselves – the only time they have to hire someone is to help with harvesting the grapes. They don’t buy fruit or sell fruit. They don’t make white wine as they don’t grow any white varietals on site. And remarkably for being based in the Napa Valley (and somewhat refreshing to) they also do not produce a Cabernet Sauvignon. As Steve says, “we are probably one of Napa’s most educated vineyard workers” referring to both their advanced degrees (Carole was a professor at UC Davis) and in reference to the amount of harvests they have worked in the valley. Their philosophy is refreshingly simple – live on the land, grow the grapes and make wines that are true to their location. Their wine making philosophy eschews the “less is more direction” with the focus being on the varietal rather then too many other outside influences. Each of their four red wines are 100% varietal. None of their wines see any new oak whatsoever – they purchase 3 year old barrels that were initially used for Pinot Noir and then use these each year for 7 to 8 years until they become firewood. Some wines that they do not favor they compare to music – Steve says these wines are like “trying to create a score by hitting every single key on the piano at once”. To their palates, this is cacophony or noise. The wines they create are not like this; these are wines that are truly about their site and the varietal. Steve studied Biochemistry at UC Davis as an undergrad but wasn’t sure what he wanted to do with this degree and remembers those pursuing advanced degrees were often penniless. Not wanting to follow the path of lacking money during his graduate studies, he worked in a lab on campus. While there he met Ted Edwards (long time winemaker at Freemark Abbey) and realized he could use his undergraduate degree to pursue a Master’s degree in Winemaking. Steve has a long history of wine making, first as a “garagist” and “carport” winemaker then later he worked in the lab at Robert Mondavi ultimately helping make wine for one of their brands. 2018 was his 38th Napa harvest. 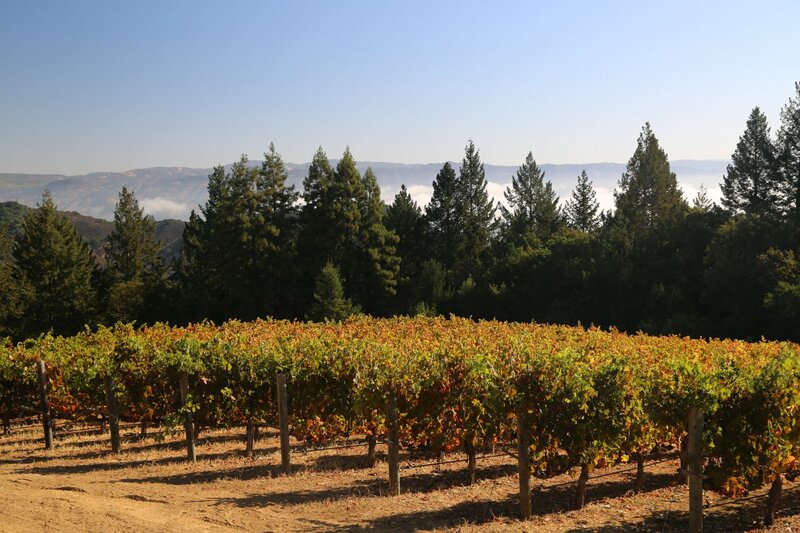 As a testament to Napa Valley’s consistent weather, Steve recalls only two challenging harvests over that amount of time – 1989 and 2011. Carole was born in Wales (the UK) and moved to the San Francisco Bay Area as a child. She has long been attracted to gardening – and it was plants that led her into pursing an interest in plant genetics. She was a long time professor in the Department of Viticulture and Oenology at UC Davis and has conducted extensive DNA research into grape clones while trying to track down the origins of some of the more well-known varietals. IT is her direct research that has validated the genealogical pedigree of a number of varietals including Zinfandel and Petite Sirah among numerous others. More than a few of her students are now working as full time vintners in the Napa Valley. She was inducted into the Vintner’s Hall of Fame in 2009. And she met Steve while at UC Davis, recalling how she spotted him working on campus in their department on a Saturday. Discovering his love of skiing brought him into work on the weekends but allowed him to ski during some of the weekdays – they took several trips together and soon bonded over a joint love of the slopes. Carol likes to say, “Syrah needs a view” – but to produce a premium Syrah in their desired style, additional conditions must be met. 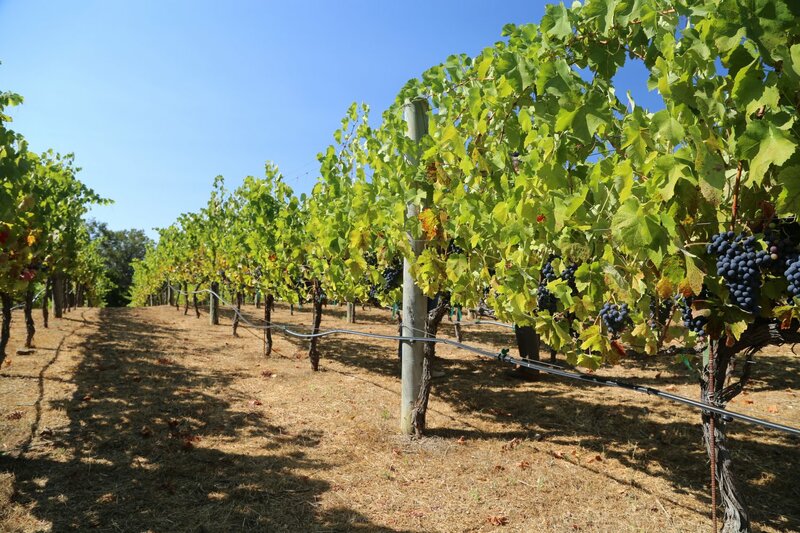 Their site is ideal for this varietal – it is rocky with shallow soils producing grapes that are small with a high skin to juice ratio – the grapes put more energy into the fruit rather then into the canopy which occurs in certain areas containing rich deep soils. And their micro climate in this part of the valley is appreciated. The cooling winds from the nearby cool waters of the San Pablo Bay blow over their property – especially in the afternoons – keeping things dry but generally cool. They both are attracted to the range of flavors that develop with a cool weather site for Syrah rather then in a warm weather site (in which the riper fruit can mask the more subtle nuances of this varietal). And this type of Syrah can certainly age well – Carole indicated their early vintages of Syrah still have not yet peaked. The 2013 Syrah is garnet red in the glass; it shows an intriguing bouquet with aromas of plum mixed with earth nuances and notes of pepper. Also floral notes (which we picked up on some of their other wines). Great acidity on the palate – mostly red fruit including red cherry and raspberry. Nice mid palate roundness with a lingering dustiness of tannins – and white pepper. And on the back of every bottle of their Syrah, two sentences stand out, “We avoid meddling in the natural process through which the wine expresses this place. Our role is merely to safeguard the wine during its passage from vineyard to bottle and to protect it from too much winemaking”. The 2007 Rosé of Syrah was a first for Lagier Meredith (no longer being made). They originally made this wine for fun as a home wine but the quality turned out nicely so they released it commercially. Oh and Steve admits Carole wanted a lighter wine for the summer time. Only 80 cases of this wine were made. The wine is orange and slightly pink in color, light to medium bodied with wild strawberries on the palate and hints of spices on the finish. The 2005 Syrah has been extremely highly rated and was in much demand upon release. It is a rich well layered perfectly balanced wine with concentrated fruit on the palate interwoven with notes of crushed black pepper. Some Syrahs we’ve tasted have been so skewed on the pepper flavor that it overwhelms the wine; not this one. It has a very rounded mouth feel and a pleasing long finish. Zinfandel is a varietal that Carole is most closely associated with because of her work in helping identify it’s origins. Remarkably this varietal used to be considered native to California without any European lineage. Carole knew it was European in heritage but did not know its exact historical ‘roots’. It was grown in Italy for several hundred years but this country wasn’t the origin. 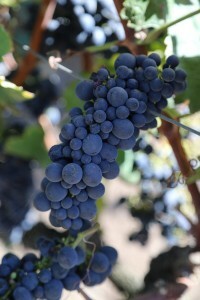 Several researchers in Croatia discovered a few vines of the varietal, Crljenak which Carole’s lab helped identify as being identical to Zinfandel. An ancient dried leaf in the Natural History Museum in Split Croatia helped provide additional historical clues both with its name “Tribidrag” and after gaining permission, tiny core samples of the leaf were extracted which DNA Typing proved to be a grape leaf of Zinfandel. 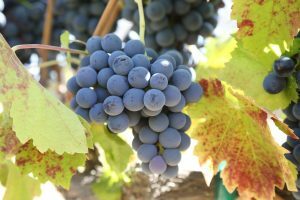 A historical researcher was brought on and helped trace Zinfandel’s roots back to the 1300’s when it was prominently grown along the Dalmatian coastline of what is now Croatia as well as throughout the Adriatic region. It dates back even further – but more research still needs to be done. This makes this varietal significantly older then Cabernet Sauvignon. Carole speaks reverently about this varietal – and hopes to prove that if properly cared for in the vineyard it can be made to age as well as any of the historically recognized red noble grapes. In honor of the history of this varietal and its traditional name, Lagier-Meredith calls their Zinfandel Tribidrag (the oldest of the 6 known names for this varietal). The 2013 Zinfandel reveals a layered bouquet with aromas of raspberry, floral notes, and a spice component – baking spices, perhaps a mix of cinnamon and cardamom (certainly not from the neutral oak they use). This wine is 15.3% alcohol but does not taste over ripe, jammy or show its alcohol. The palate is layered and features mostly with darker fruit – an assortment of berry fruits. The tannins are earthy, noticeable but well-balanced. Both Carole and Steve decided to plant Malbec because it was growing in the historic Brandlin Vineyard (one of their neighbors and owned by Cuvaison Winery); they enjoyed the wines it was producing – along with some of the other very select Malbecs produced on Mt. Veeder. Based on their plantings of this varietal, Carol thinks Mt. 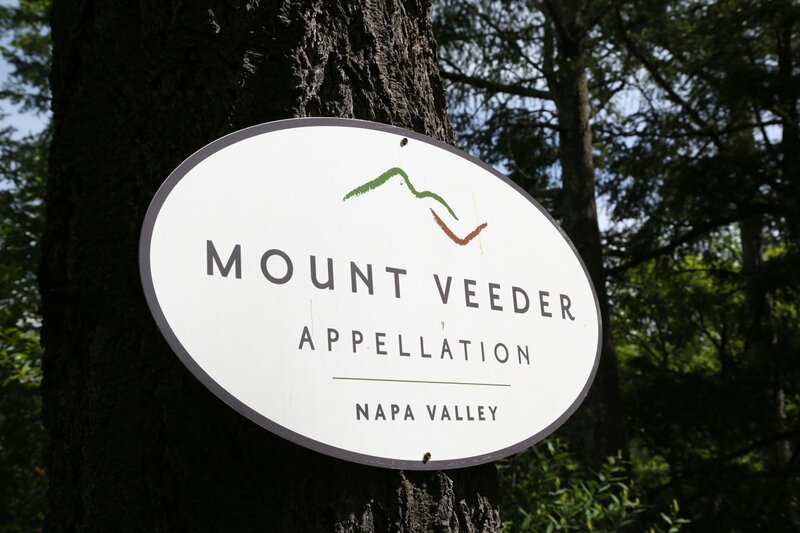 Veeder may be ideal for growing Malbec (although very few Mt. Veeder based producers are currently growing it). The 2013 Malbec is very dark in the glass with purplish tinges on the rim. It shows a pretty bouquet with floral characteristics (rose petal) with a sweetness of fruit along with a hint of mint aroma. Shows more black fruit on the palate rather then red – blackberry, black cherry accompanied by a dustiness. Nice mouth feel – a very balanced wine. The tannins are somewhat earthy and are long lasting. Mondeuse noire is not a varietal you will often find in Napa (and in the rare cases you do, the cuttings most likely came from the Lagier-Meredith Vineayrd). When deciding to diversify their vineyard from Syrah – Carole spent significant time reaching out to nursery’s to try and secure some cuttings. None of the nursery’s she called had it or in some cases had even heard of this varietal. Recalling the various grapevines in the collection at the University of California Davis – Carole was able to locate the only two vines of Mondeuse noire at UC Davis (these along with other varietals came from the Experiment Station in Jackson, California (one of 7 stations established by the University) – which was formed in the 1880’s with cuttings originally taken from France. 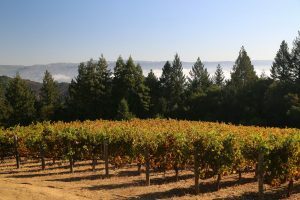 She took bud wood, had it propagated in a nursery – after a few of their initial vintages of this varietal, several wineries approached them for cuttings including one Napa winery. This varietal is predominantly grown in the Savoy region of eastern France. With their interest in Syrah which is primarily grown in the northern Rhône region of France) and its close heritage to Syrah – Carole and Steve were curious to see how it grew in their own Mt. Veeder terroir next to their Syrah. The 2013 Mondeuse noire shows inviting aromas including dried rose petal, cranberry, raspberry – a sweetness of fruit. This wine has excellent acidity – on the palate it is more red fruit then darker fruit – red cherry, red currant with surprisingly robust and long lasting tannin’s (certainly more then the Syrah of this vintage shows). All their wine is bottled unfiltered and their total production is around 800-900 cases each year. They sell mostly direct to consumer but have some distribution including locally at Press, Brix and La Toque restaurants – through distribution in New York and select International locations including the UK, China and Japan. Dave, thanks again for a great great overview and how-to tour of Carneros! I found Mount Veeder on my morning drives, and was intrigued by the landscape. I found Lagier Meredith at my local wine store (2012 Syrah) and I’m intrigued yet again! The journey continues. Danilo – ahh nice. It was a pleasure showing you and Marion around the southern part of the valley. I don’t think Lagier Meredith has to much in the way of distribution – so good find on their 2012 Syrah!